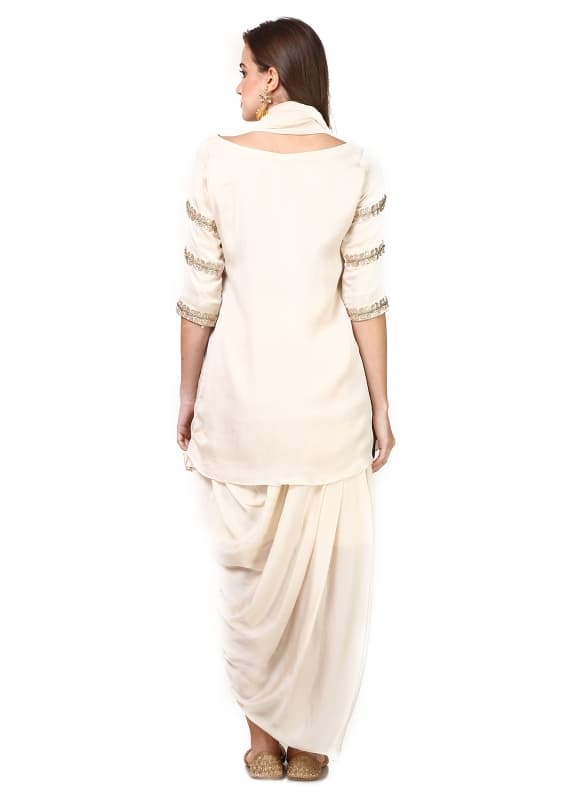 Featuring an off white kurta in satin crepe base with gota and pearl embroidery. It is paired with a matching drape skirt and georgette tassels scarf. Fusion at its best, wear this stunning ensemble with a pair of Micare earrings.